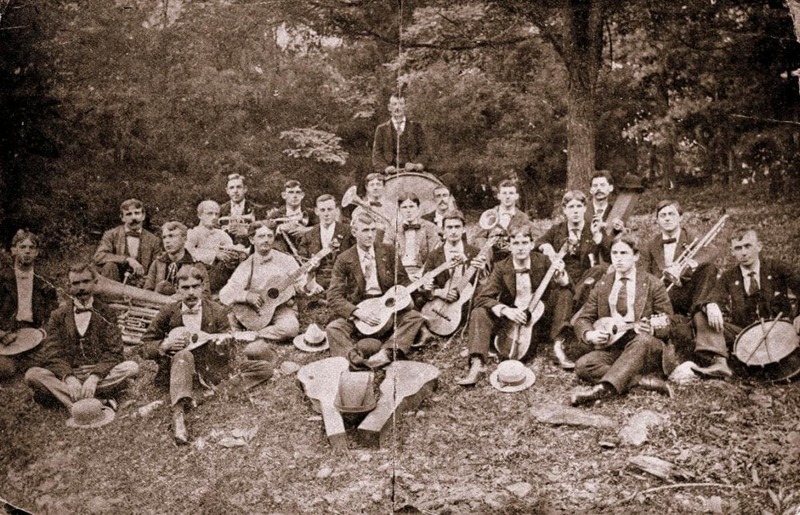 Looks like a very typical Turn-of-the-Century town band. They would gather together whatever instruments were available. Someone’s got to play in the gazebo on Sunday. What is really missing is the double bass Eb sarrusaphone. That adds so much!